Dr. Watson coined one: ARRIVEE. 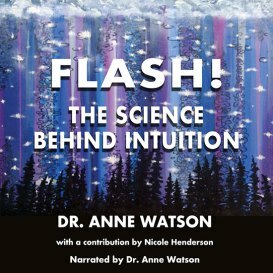 Dr. Anne Watson (aka Dr. Anne Watson-Russell), Special Educator, Psycho-educational Consultant, and Canadian Professor (UBC and Trent U) who retired early to write. She wrote a best-selling guidebook for children facing court procedures, "So, You Have to Go To Court! (Butterworths, 1986) was followed in the '90's by plays like "Stiffed!" (1996) and "Moving to Mobay" (1999) during her award-winning community acting run when theatre was her second home. "The Child You Got" (1997) was her first screenplay -- a test drive for the complexities of screenwriting, supported by Robert McKee's Story Structure Seminar and an intensive week with Canada's "script doctor", John Hunter ("The Grey Fox"). In 2007 her "Strength-Based IEP's" came out in "Communique: The Publication of the Learning Disabilities Association of Ontario" (Vol. 38, No. 1, 15-16). Thereafter, strengths were included in all Individual Education Plans, mandated byThe Ontario Ministry of Education. Testing her popular readership skill, Dr. Anne produced a couple of articles for the June 2011 issue of "International Living": (p.10) “My Biggest Challenge is Picking Which Beach to Visit” (p. 26) and “Panama’s Most Enterprising Expat”. ​ Then came "Uneven Bars" (Canja Productions, 2011), a fictionalized memoir about a love affair wrecked by Asperger's Syndrome (now pulled from circulation to be a screenplay). In 2012, "Save the Seven Species" was commissioned by a U.S. Aid company for all 5 Central American countries. This short play was first performed, in Spanish, by high school students in Bocas del Toro, Panama. Now, after three and a half years of passionate toil and endless advice from blogs and courses, Dr. Anne's Universe-inspired screenplay, "The Burden of Solitude" is complete. Dr. Watson is also the inventor and CEO of Mind Phasing which uses EEG equipment to bring people into an Alpha-phase mindstate for connectivity with the Universe or with others, see www.mindphasing.com. Summertime finds her in Peterborough, Ontario, while winters are spent in Zipolite and/or Progreso, Mexico or Bocas del Toro, Panama, where she welcomes visits from her two fabulous grown children and one lovely grandchild, Skoochi. "FLASH! The science behind intuition is now released for sale by the publisher, post hypnotic press. aVAILABLE AS BOTH AN AUDIOBOOK AND A PRINT BOOK FOR $15.99, AVAILABLE FROM BARNES AND NOBLe and amazon. "passionate burden", completed screenplay, seeks a pRODUCER.